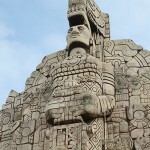 Explore every inch of the Yucatan on this Ecotour, visiting Mayan ruins, charmind cities, pristine reserves, and impressive waterfalls. 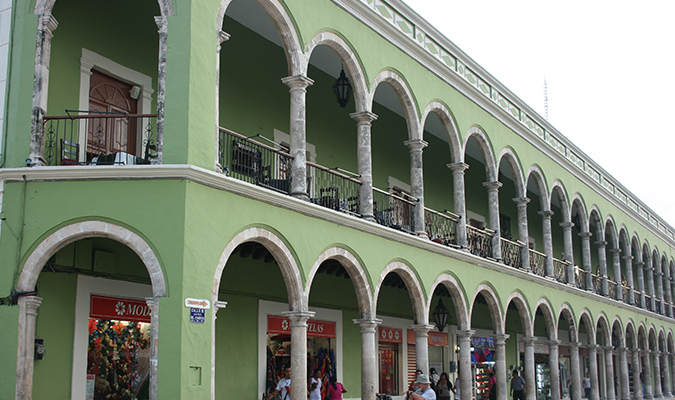 This trip explores the vibrant and tropical nature that covers the Yucatan Peninsula and the ancient ruins that are nestled among lush jungles. 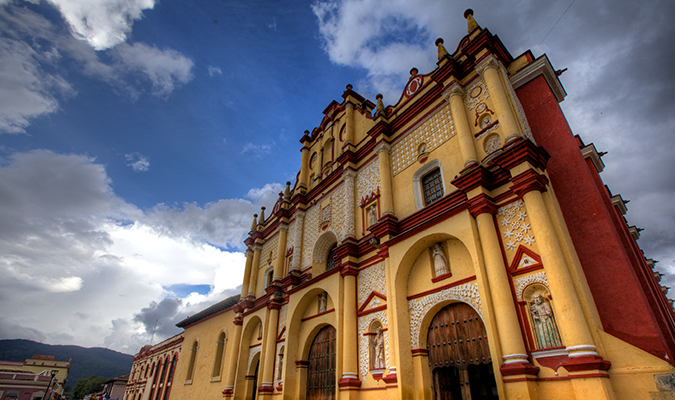 It is the perfect combination of history and outdoor adventure. 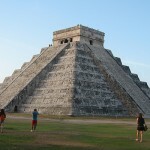 Welcome to the magical Yucatan Peninsula! 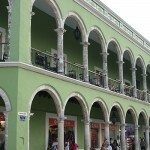 Transfer from the Cancun airport to your quaint hotel in the charming seaside town, Puerto Morelos. 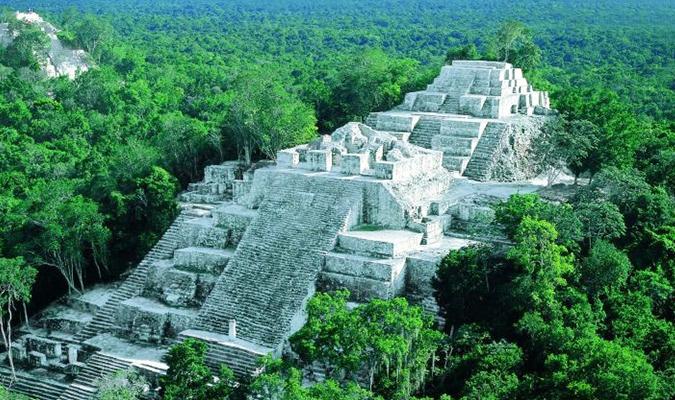 “Where The Sky Is Born,” is the Mayan name of the biosphere reserve covering 1.3 million acres of land along the central coast of the Yucatan. Three hundred and thirty six species of birds are are found in Sian Ka’an including the Ocellated Turkey, Great Currasow, Parrots, Toucans, and Trogons. The aquatic birds includes species such as the White Ibis, Roseate Spoonbill, the rare Jabiru Stork, Wood Stork, Flamingo, and 15 species of Herons, Egrets, and Bitterns! 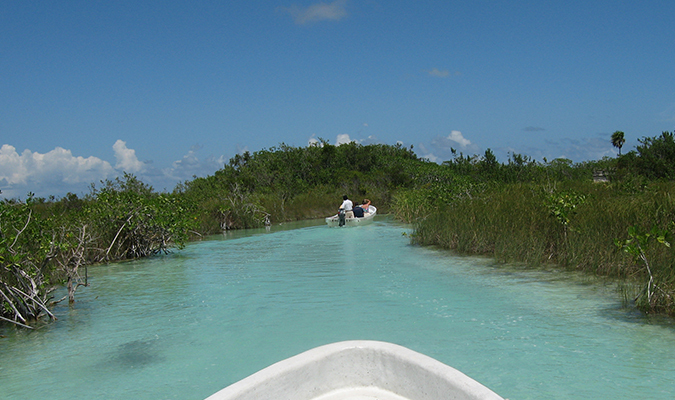 Today we will kayak and visit the pristine reserve laguna. 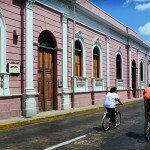 Today we will bike to the beach and take in more of the pristine reserve. 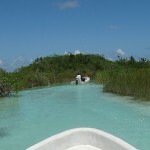 Today we will transfer to the Calakmul with a stop on route to snorkel in the breathtaking Blue Cenote. 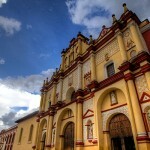 Optional visit to an archaeological site with over 25,000 ancient cave murals. 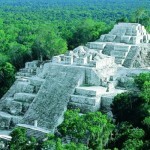 Today we explore Calakmul, on a wildlife tour and a visit to its mystical archaeological sites. 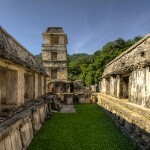 Today we begin our journey in the ecological zone “La Ca’ada,” the only jungle area in Palenque. 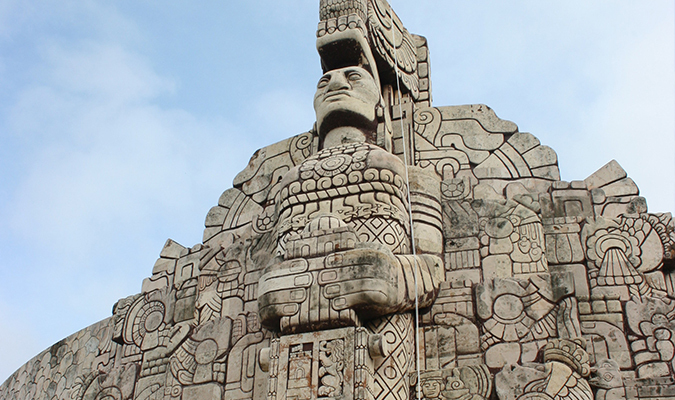 Explore this lush jungle and discover the ancient civilizations that lived there! Highlight of the day will be the visit to the refreshing waterfall Agua Azul. Our home for tonight is a beautiful hotel with a colonial-style courtyard. 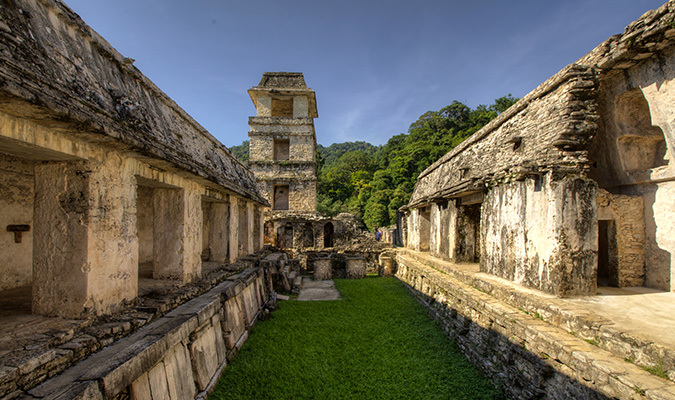 We will visit the Jade Museum and the Tomb of Pacal, which is hundreds of tons of limestone away from the green world of howler monkeys and tourists. 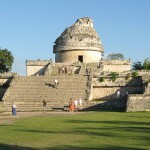 In route to Campeche, we will visit the waterfall Misol Ha for a refreshing break. 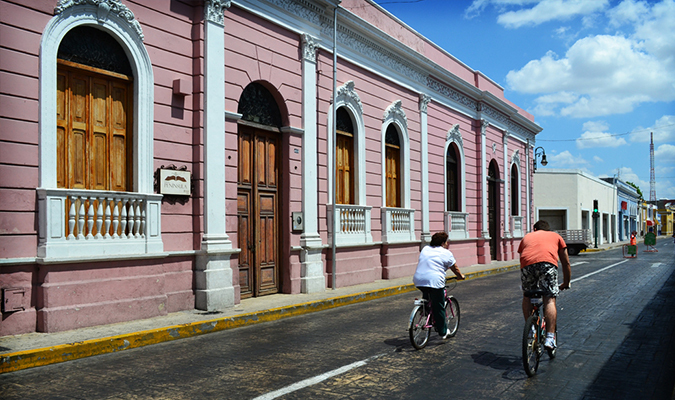 Campeche, the capital of the state of the same name, is the most thoroughly restored colonial city in Mexico. It’s so well restored that, in some places, you can imagine that you’ve traveled back in time. 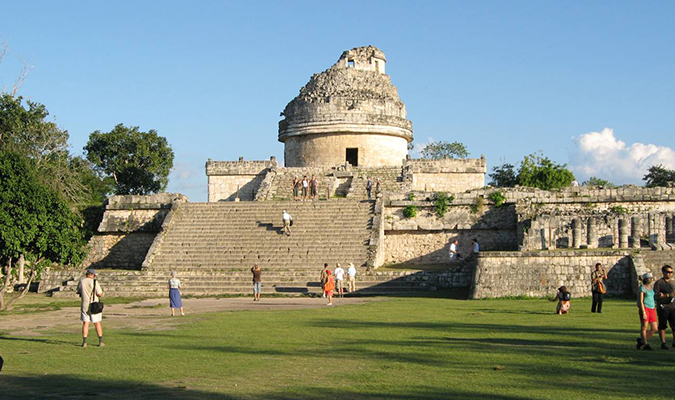 After an amazing tour through the archaeological wonders of Uxmal, we will transfer to Merida and spend a festive evening in the town Plaza. 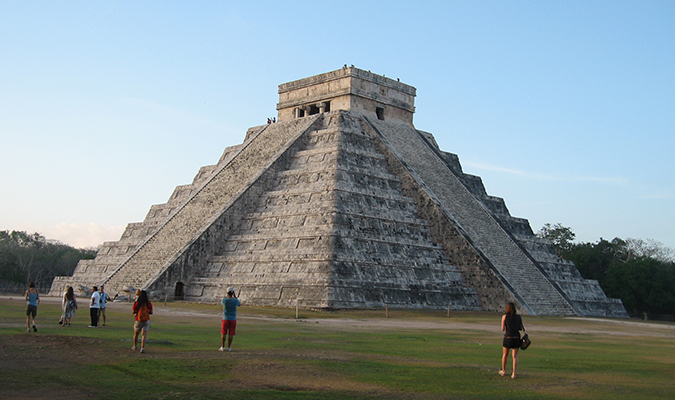 Visit the world renowned ruins of Chichen Itza in the lush jungles of the Yucatan. Our final day in the Yucatan will be spent relaxing on the beaches of Puerto Morelos, taking in the white sand beaches and coastal wildlife while soaking up the sun.